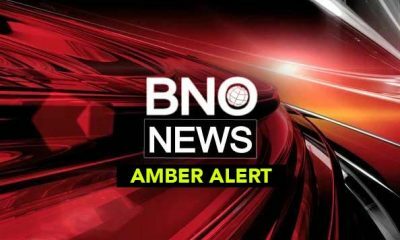 An Alabama Amber Alert has been issued for 3-year-old Morris Roberson IV after he was allegedly abducted from Eight Mile in Mobile County, officials say. Anyone with information is urged to call 911 immediately. Morris was last seen on Friday evening on Highway 45 in Eight Mile, which is a community in Mobile County. Details about the circumstances of the abduction were not immediately released. According to the Alabama Law Enforcement Agency, Morris was taken by 31-year-old Milton Farris. There was no immediate word on the nature of his relationship, if any, to Morris. Farris is believed to have taken the child in a 2010 maroon Nissan Altima without a license plate. It’s unknown where he may be taking the child. Morris was last seen wearing a red and blue polo shirt, blue polo jeans, and red and blue Jordan shoes. Farris is described as a 31-year-old black male with black hair and brown eyes, standing 5 feet 3 inches tall and weighing about 153 pounds. Anyone who sees either Morris, Farris, or the suspect vehicle is urged to call 911 immediately, or call the Saraland Police Department at (251) 459-8477 if you have any other information that could help investigators.